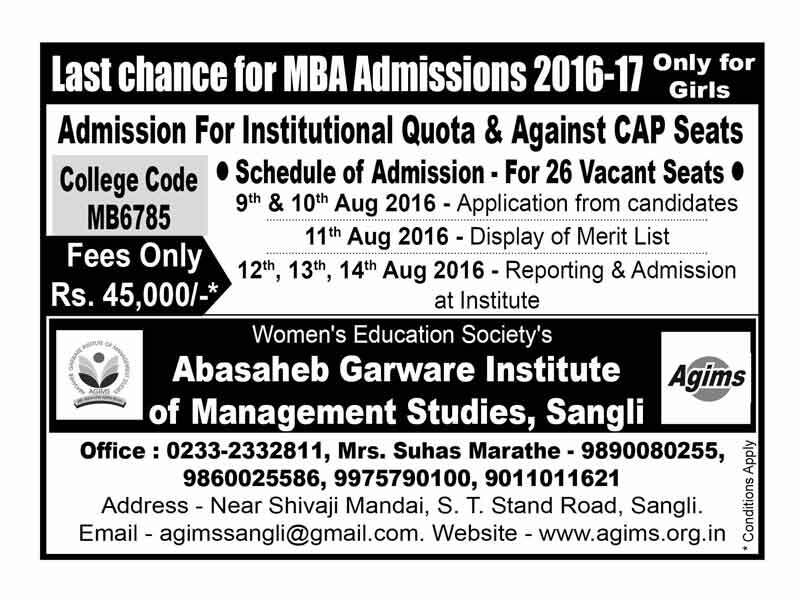 Thank you for considering employment with Abasaheb Garware Institute of Management Studies. If you feel that your skills and experience are aligned to the career opportunities posted please e-mail your resume directly to agimssangli@gmail.com. Please include the position title in the subject line of your email.